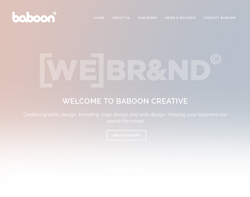 Web Design, Logo Design, Online Shops. Hallam Internet is a full-service award-winning digital marketing agency with offices in Nottingham and London. Established in 1999, we started out as an SEO agency, but our skill and experience have grown, and now our experienced team of 45 digital marketing specialists delivers web design and development, PPC, social media, digital PR, e-commerce, email marketing, conversion rate optimisation and content marketing services. Our web and creative services include graphic design, wireframing and user experience, WordPress design, web hosting and web design. We deliver digital strategy and campaigns for some of Nottingham's leading businesses, including Raleigh Bikes, Experian and the MoneyShop. And of course, we also work further afield with international brands including the United Nations, the BBC, and Saint Gobain. Our expertise has been recognised by Google's own Premier Partner Awards for EMEA (Europe, Middle East and Africa) and we have a trophy cabinet of other industry awards celebrating our successful campaigns. 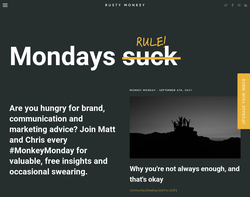 Need help with your digital marketing? Contact us now! 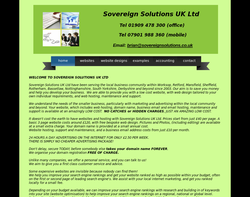 Website Domain and Hosting, Voip and Business Consultancy. 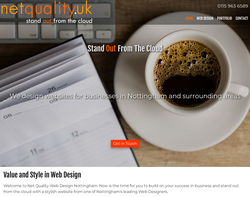 Net Quality aim to offer an incomparable Web Design service in Nottingham aimed at Small to Medium Enterprises (SMEs). Website design and hosting services. 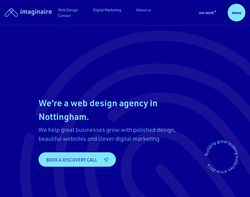 Nottingham-based Creative Agency offering web design and development, SEO, SEM, video production, animation, branding and marketing services to businesses of all sizes. 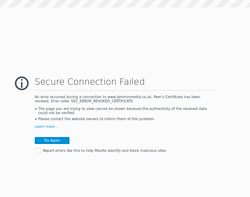 Michael Rose - Free Lance Web Designer and Developer from Nottingham, United Kingdom. 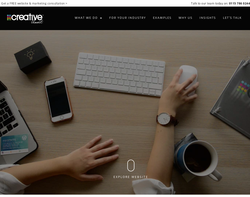 Web design for small to medium companies. 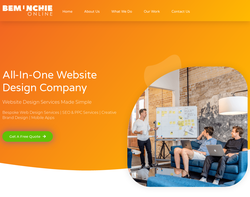 Included in our service is bespoke flash presentations, hosting, unlimited pages, e-commerce, unique website design, logo design, consultation, unlimited updates, SEO, Social Networking Integration. 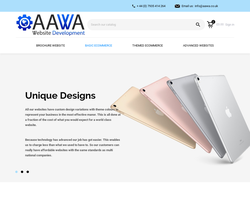 Website Design, SEO Serivce, Ecommerce, Video for your website, Social Media Management, Business Development, Word Press, Joomla, Magento, Bespoke application development, Email Marketing and design across East Midlands including Lincoln, Nottingham. We have customers across the UK and Scotland. 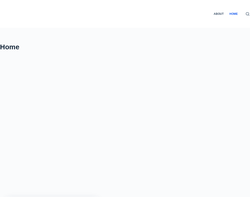 Web design isn�t about making pretty pictures, far from it, it�s about making sure your visitors have a good experience and find the information or product they need. 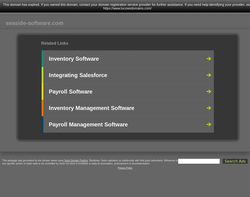 This only comes from well thought out interface design with very easy navigation that delivers second to none usability. This leads to increased conversion when it comes to what you want your visitors to do, buy a product or give you a call. Only by understanding this can you design and build a website that truly delivers results. At Kute we�re passionate about getting results for our clients, and a fundamental part of ensuring we deliver those results is that all of our website design is thoroughly thought out before we even start to put pen to paper, mouse to screen and data to databases. 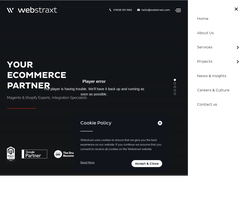 We love problem solving, big or small; our team of designers, developers and account managers will find the solution to help you take your website to the next level. 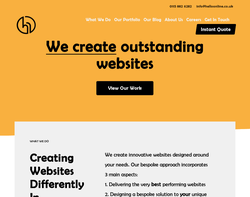 We are an intricate web design agency specialising in helping small to businesses grow online. 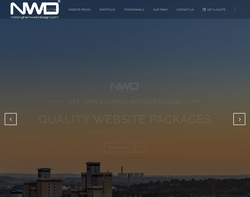 We offer websites at affordable prices starting from £499 with a small monthly hosting fee. All of our handpicked designers provide bespoke designs to suit all of our customers needs. We can help our customers build a sustainable brand for a successful future online. 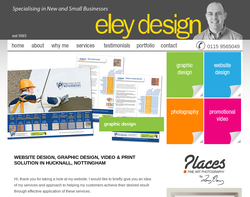 Go Click Creative web design and SEO Nottingham services. 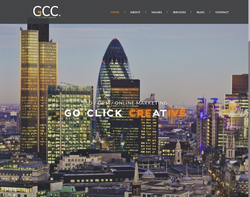 GCC helps firms realise their potential by providing marketing solutions. SEASIDE SOFTWARE Ltd web design & online marketing. We’re Midas Creative. We design websites and branding for small businesses, helping nurture growth, increase leads and boost exposure. For over a decade we have built a talented, multi-skilled team, committed to fulfilling the requirements and expectations of small businesses. We have developed the skills and resources to deliver high quality projects that take your business to the next level. Our process is simple; we listen to your needs and objectives then work closely with you to explore your options, providing solutions and advice that gets the results you need. We help our clients keep up with the quick paced, ever-changing landscape of digital marketing with a smart and affordable online strategy that delivers real results. We’re rewriting the rules of business with strategic website design, affordable marketing services and unrivalled business support that launches small business into the big league. Helping your business succeed online - eCommerce, Web design & Development, Specialise in WordPress, Digital business strategy, Branding & Logo Design. 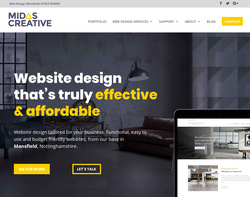 We are a creative Web Design and Digital Marketing agency that take pleasure in offering our clients the best quality, bespoke designs possible. 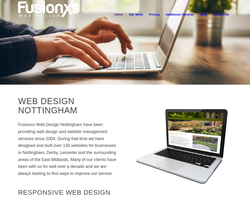 Fusionxs provide web design, hosting and website management services to individuals, sole traders and small to medium-sized businesses with pricing starting from £300 per year. Hello Online are a talented team of digital marketing professionals based in Nottingham. 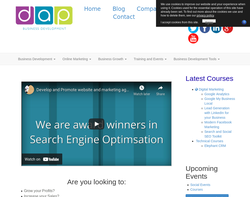 We offer bespoke website design, SEO (Search engine optimisation) and PPC (Paid Search). We are a forward-thinking digital marketing agency with an obsession for achieving the very best for all our clients across Nottingham and beyond. Our thorough and methodical approach consistently delivers outstanding results for clients across all sectors. Whether you need modern website design, a paid search campaign or search engine optimisation (SEO), we do it all! Take your business to the next level in today’s digital world with our powerful marketing techniques.